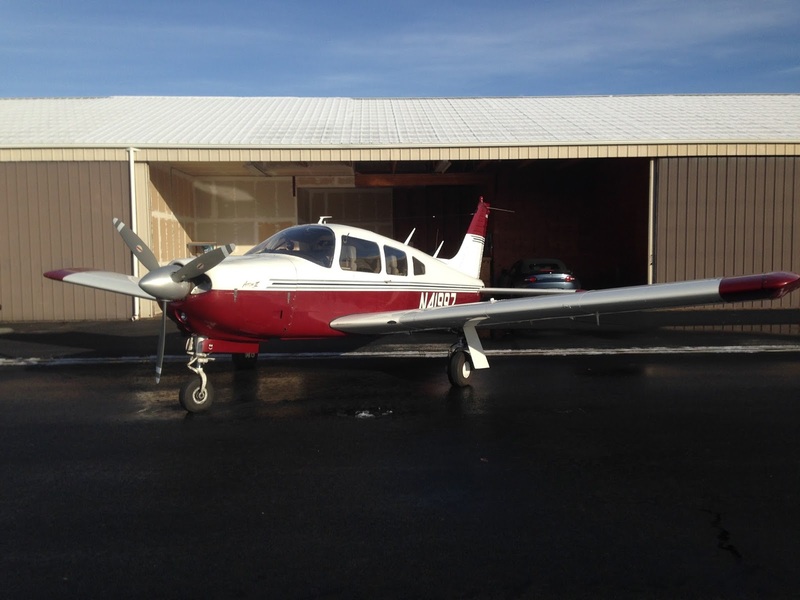 Piper Arrow 997 outside her hangar at BLI. 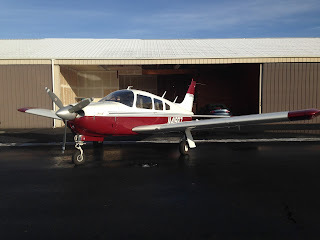 On the first day of spring, Wayne and I decided to celebrate with a spring fling up in the air in our Piper Arrow 997. We joked and called it our spring fl(y)ing. 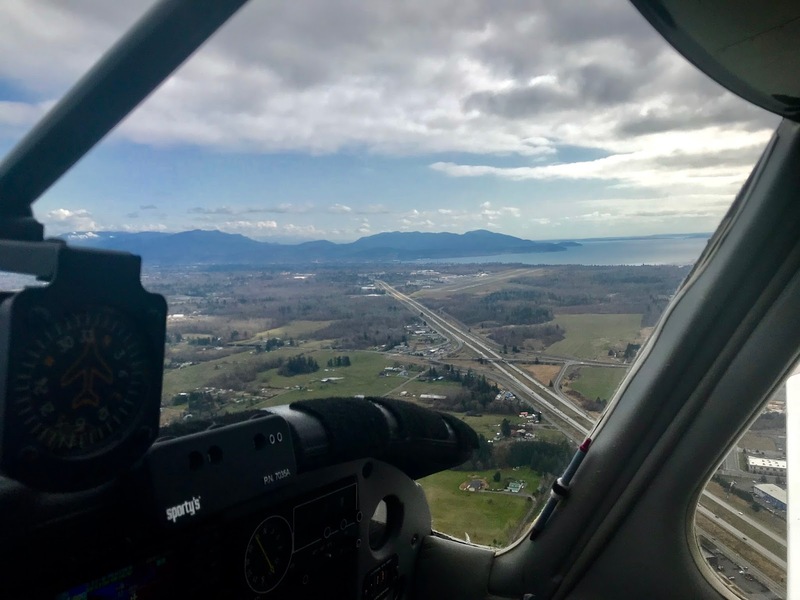 We headed over to 997's hangar at Bellingham International Airport (BLI) and pulled her out to enjoy an afternoon with a mix of sun and cloud with us. The calendar may have said it was the first day of spring, but the weather wasn't so sure. 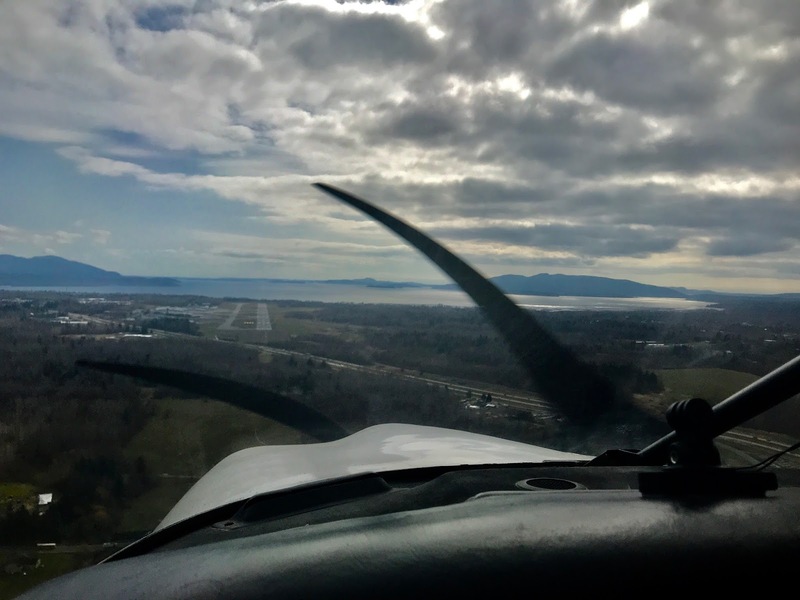 We decided to do some pattern work and practice take-offs and landings. On our base leg at Bellingham International Airport on the first day of spring. Come along with us and fly around the pattern. After several circuits, we landed and returned to the hangar. Final approach for our last landing. Getting up in the air on such a wonderful day gave us hope that sunnier skies and better weather are just around the corner. And when that happens, you know where we'll be, flying the skies of the Pacific Northwest. We've been doing better with our meals at the cabin. To keep from eating out too much when we're in town, I got breakfast foods to eat at the condo. I made homemade Cranberry Pineapple Bread to go with our bowls of fresh fruit using a recipe from Leigh Anne Wilkes at Your Homebased Mom. It was originally for muffins, but I chose to bake it in a loaf pan. 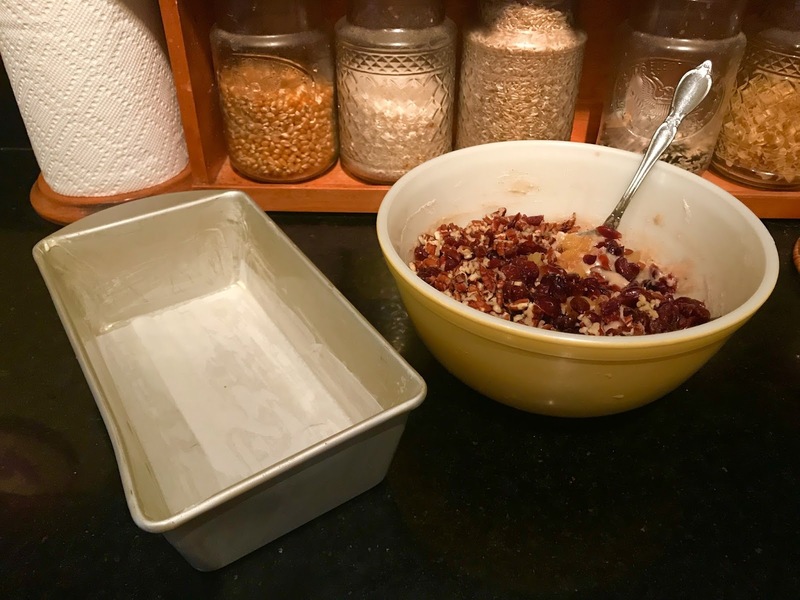 Rehydrate dried cranberries with hot water if you are using them rather than fresh ones. 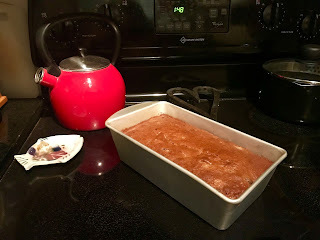 Grease a loaf pan (unless you are making muffins) and line the bottom with parchment paper. 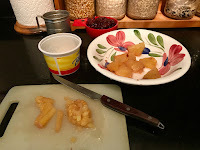 Stir in pineapple, cranberries and nuts. 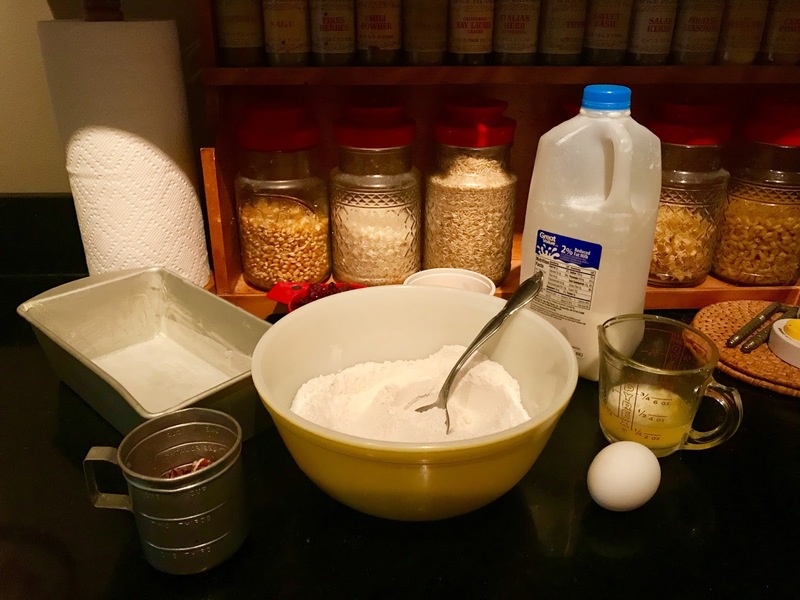 In a bowl combine flour, sugar, baking powder, salt, cinnamon and nutmeg. In a separate bowl combine egg, milk, melted butter and vanilla. 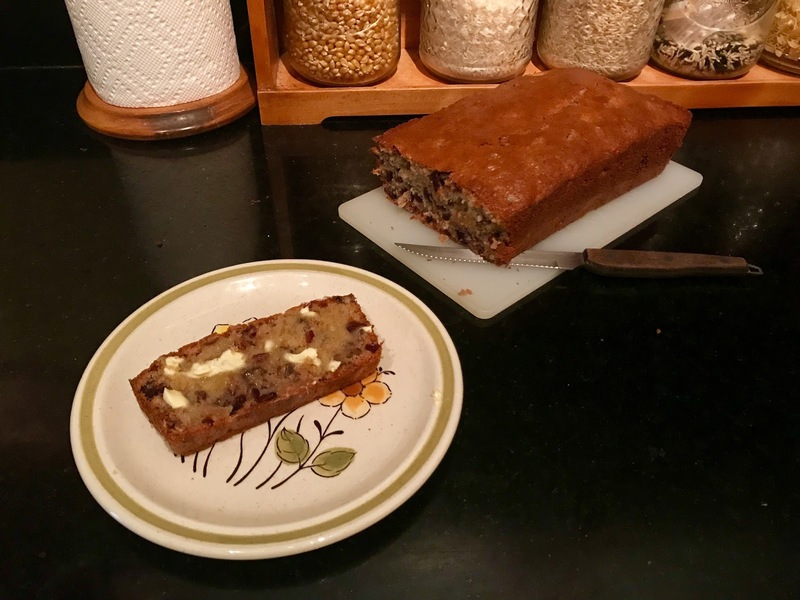 Blend the flour and wet ingredients until well moistened. My reading this month has taken me on quite the adventures, from outer space, to life on a small island, to a thru-hike on the Pacific Crest Trail. Carrot Quinn was living in a little trailer surrounded by the bustle of city life in Portland, Oregon. She was a self professed internet addict, making a meager living online and dog walking. Her life felt aimless. Then she discovered the online trail journals of people thru-hiking the Pacific Crest Trail from the Mexican to the Canadian borders. With little experience and preparation she embarked on her quest to complete the 2660 mile grueling hike following a narrow band of dirt through scorching desert, rolling foothills, and the formidable Sierra Nevada range. 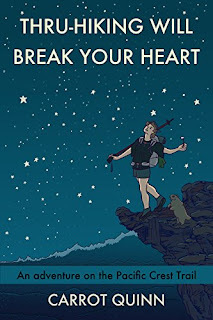 Thru-Hiking Will Break Your Heart: An Adventure on the Pacific Crest Trail is the account of Carrot's physical, mental and emotional journey in 2013. 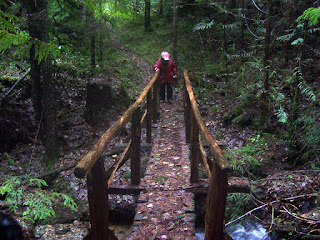 A section of the Sunshine Coast Trail. Quinn's book is self published. 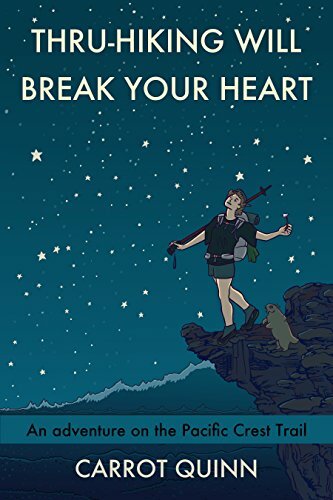 It didn't have the publisher polish of books like Wild by Cheryl Strayed or A Walk in the Woods by Bill Bryson, yet it was a compelling read for me. 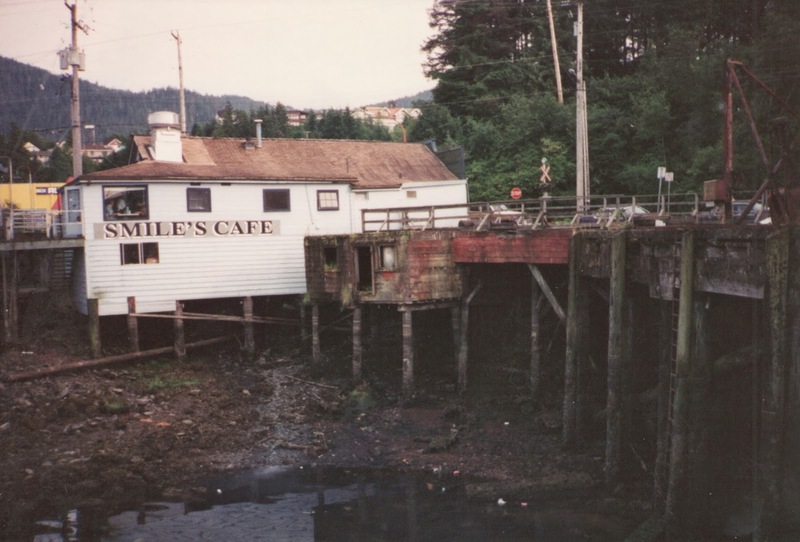 You can feel the pain of Carrot's blisters, the pervasive thirst between water stops, the days of hunger followed by binging in nearby towns, the desire to connect with other hikers, and the glee at finding "trail magic" left by volunteers including snacks, drinks and even hot meals. Just a little warning. Carrot is straight forward and blunt at times about her personal and trail life. I didn't find it off-putting but some might. 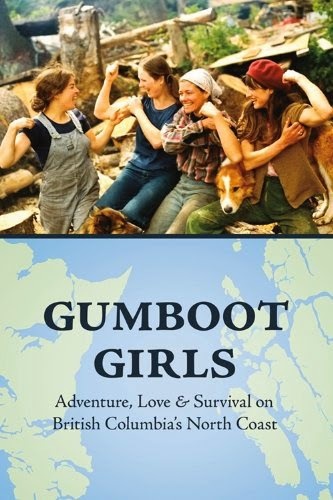 Reading books like this has inspired my husband to try hiking the Sunshine Coast Trail here in Powell River, BC. He's researched gear and is starting to put together what he'll need for a summer adventure. 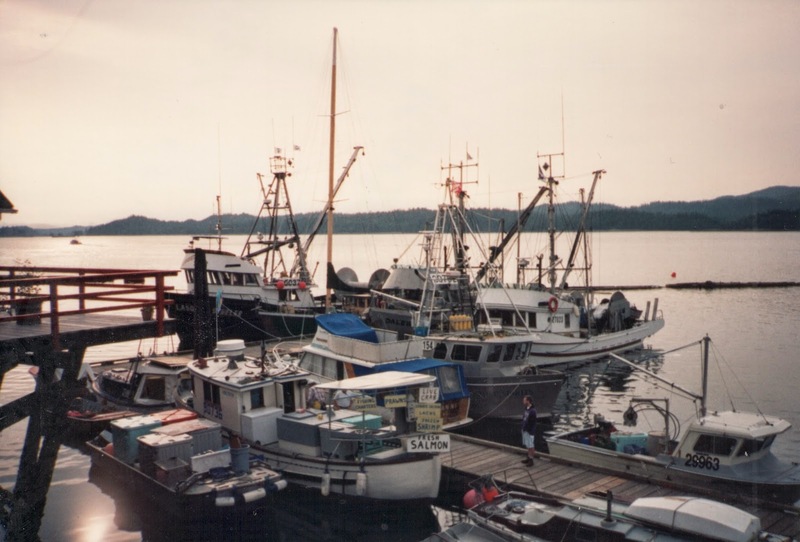 There are many entry and exit points along the Sunshine Coast Trail, so he's going to start small and complete the 180 kilometres (112 miles) a section at a time. 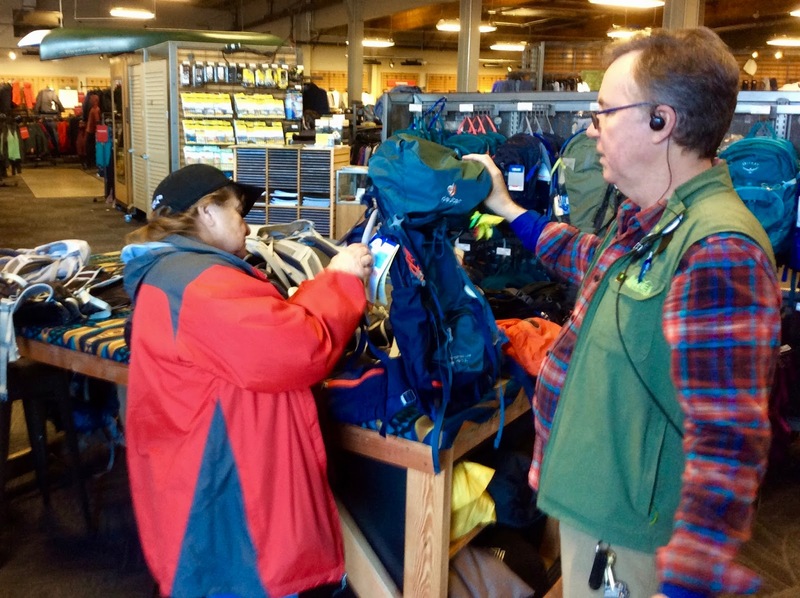 Margy (me) checking out backpacks. I don't hike well, so I'll be Wayne's ground support. I'll drop him off and pick him up farther along. I may camp out with my truck while I wait for him to arrive. If I get into better shape by July, I may even try an easy leg. 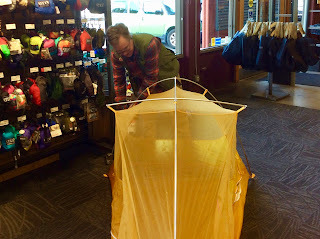 A clerk at REI shows Wayne a new tent.